Take on the injustice of drab walls with this cartoony DC Comics Justice League Cartoon Wonder Woman MightyPrint Wall Art Print featuring the mightiest of warriors. 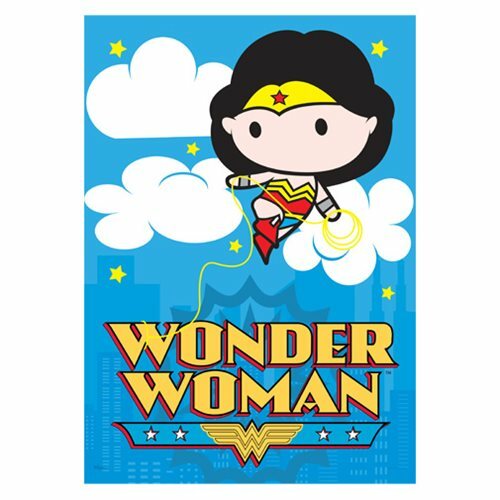 Her golden Lasso of Truth wraps around her classic logo, and even in adorable cartoon form, she still looks fierce and intimidating! The unframed state-of-the-art opaque print measures about 24-inches tall x 17-inches wide. Move it from wall to wall and have no fear - it can take it!